We put together a Google Sheets template to help you better manage your link building campaigns. The beauty of this template is that it allows for customization to better fit your workflow. You’ll want to make a copy to get started with your own version. We’ve been able to improve our efficiency via this template by following a simple workflow around acquiring new guest posts on industry-relevant websites. The first step is to actually go out and find prospects that could be potentially interested in a guest blog post. We will then record those opportunities into our template so that we can track our efforts and identify any area that isn’t performing well. Once you’ve used this template for enough time and you’ve gathered enough data, you’ll be able to predict how many link prospects you’ll need to find in order to acquire each link based on your own response and conversion rates. 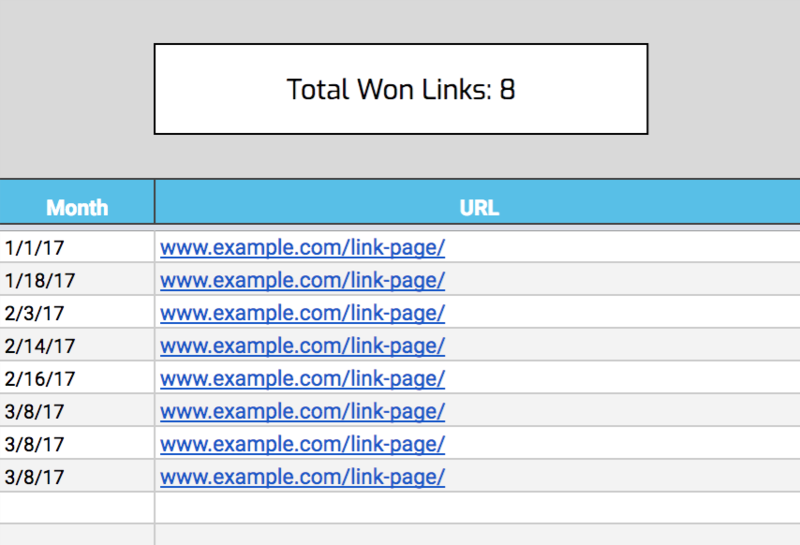 This can be useful if you have specific goals around acquiring a certain number of links per month, as you’ll get a better feel for how much prospecting you need to do to meet that link target number. The Prospects tab is the only one you will need to manually edit, and it houses all the potential link prospects uncovered in your researched. You’ll want to fill in the cells for your prospect’s website URL;, and you can also add the Domain Authority of the website for outreach prioritization. For the website URL, I typically put in an example of a guest post that was done on that site or just the homepage if I can’t find a better page. This report allows us to understand where we need to focus our efforts to maximize our campaign’s performance. If there aren’t enough prospects at the top of the funnel, we know that we need to start looking for new link opportunities. If our contact vs. response rate is low, we know we need to test new email copy or email subject lines. Organization is critical for maximizing your link building efforts and the return on the time you’re spending. By knowing exactly which stage of your link building process is your lowest performing, you can dramatically increase your overall efficiency by targeting those areas that need the most improvement.